In addition to the rank insignia embroidered on shoulder straps worn on the Army Service Uniform, Chief Warrant Officers 4 (CW4) also wear nonsubdued metal insignia on the black beret or one of the colored berets that are organizational issue items for members of Airborne, Ranger, or Special Forces units. 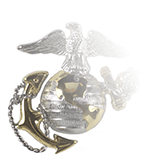 Positioned vertically, the insignia is centered on the flash. 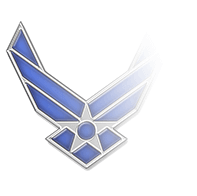 For Combat and Utility uniforms, CW4s wear subdued rank insignia with the black squares embroidered on a dark silver background that’s sewn onto a swatch of fabric manufactured in a camouflage pattern. 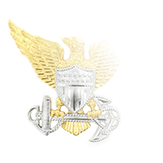 Please visit our ACU Ranks page for Chief Warrant Officers 4 to purchase subdued cap rank insignia for wear on Patrol Caps, Sun Hats, and camouflage cover of helmets. 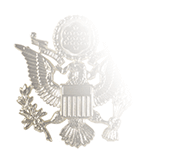 This nonsubdued, pin-on metal CW4 rank insignia was worn on the Garrison Cap until it was phased out and replaced by the black beret in 2001. Veterans searching for Garrison Caps will be happy to learn that we still manufacture and stock all four varieties of this instantly recognizable component of the Class A Army Green Service uniform, which was no longer authorized for wear by active members of the Army following the wear-out date of 30 September 2015. 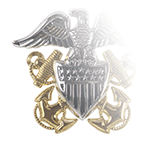 When worn on the Garrison Cap, the CW4 rank insignia is centered vertically on the left curtain, an inch from the front crease of the cap.